We are strong believers in infrastructure investments to make your nonprofit as effective as possible. But, we know costs can add up. Janet Ogden-Brackett, Propel Nonprofits’ chief program officer, will discuss free or low-cost tools and resources available to nonprofits, from hardware to software, services to online templates. Bring your lunch, your questions, and any handy resources you know of. These networking lunches are a great way to connect with other nonprofit finance leaders and are free, but please RSVP so we know how many to expect (note: drop-ins are still welcome, too!). 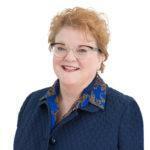 Janet oversees Propel Nonprofits’ programs. She also delivers training workshops and provides technical assistance on financial management topics to nonprofits throughout Minnesota. She’s collaborated on 10 cohorts for nonprofits exploring the launch of a social enterprise. Janet loves the idea of nonprofits having autonomy with their money and think that social enterprise is a good option on how that can be achieved.